Cover: (3/1966) picture sleeve front and back. Disc: (3/1966) Black label, dog on side. 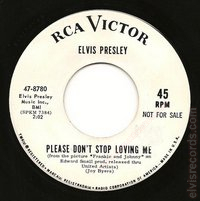 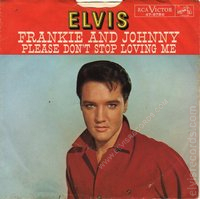 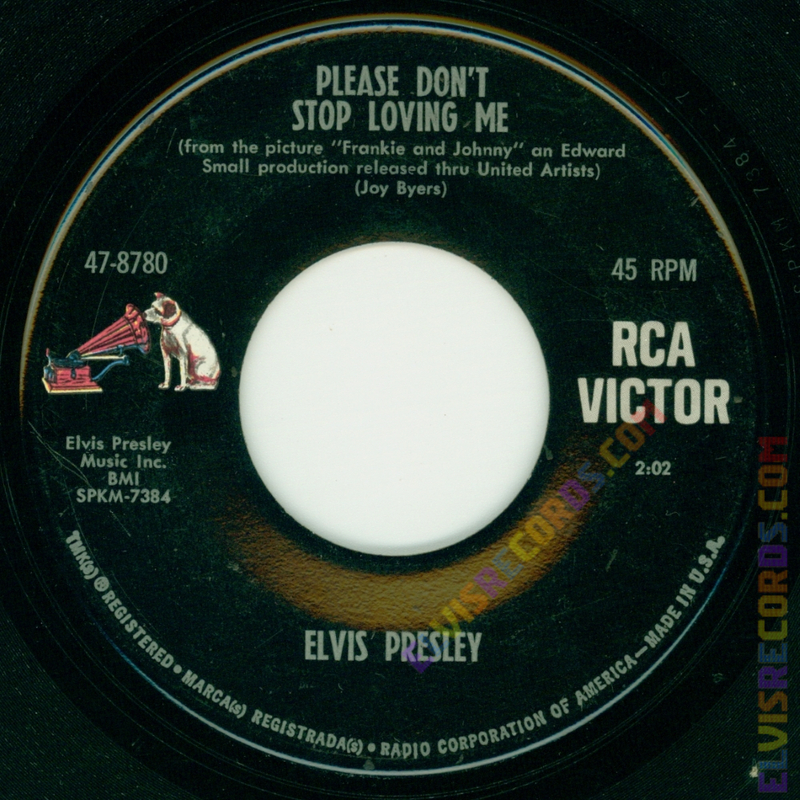 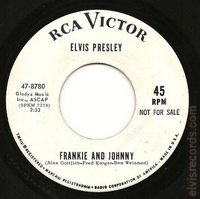 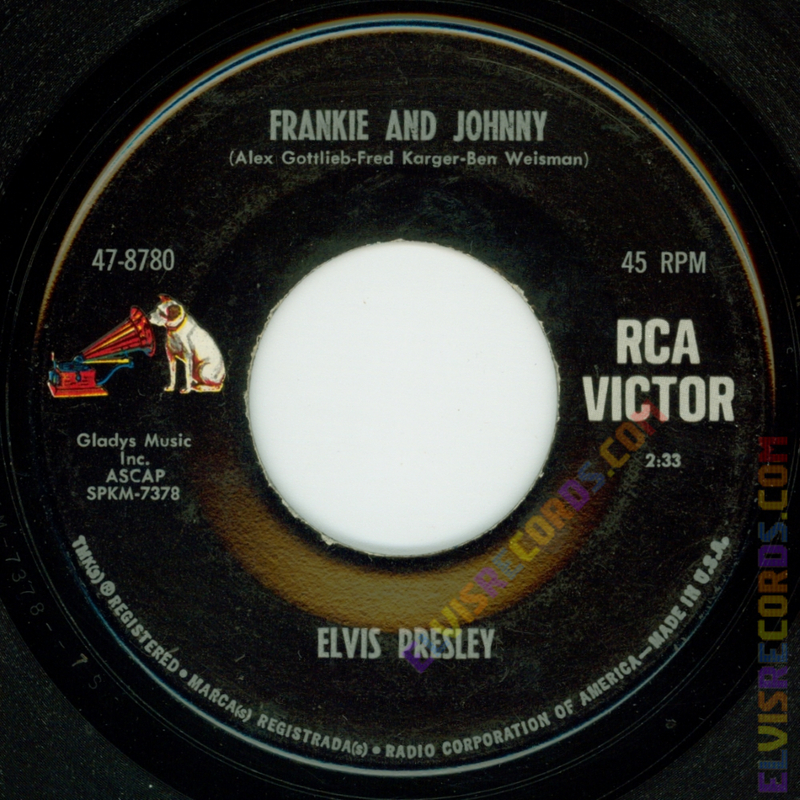 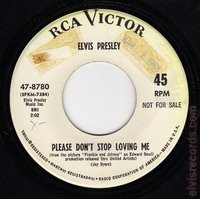 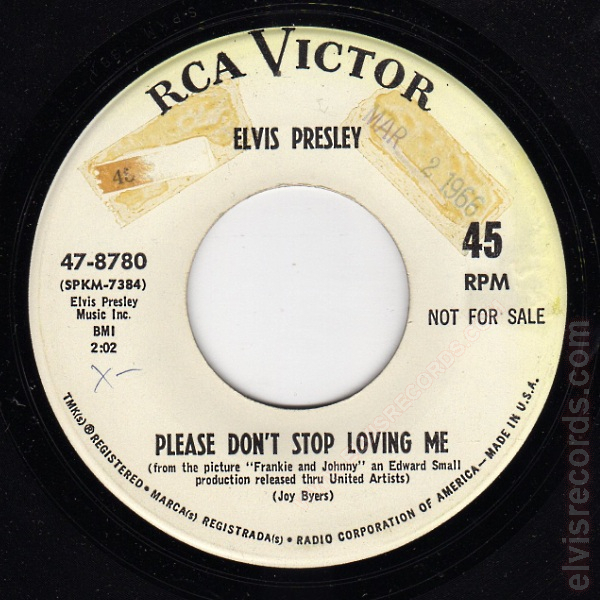 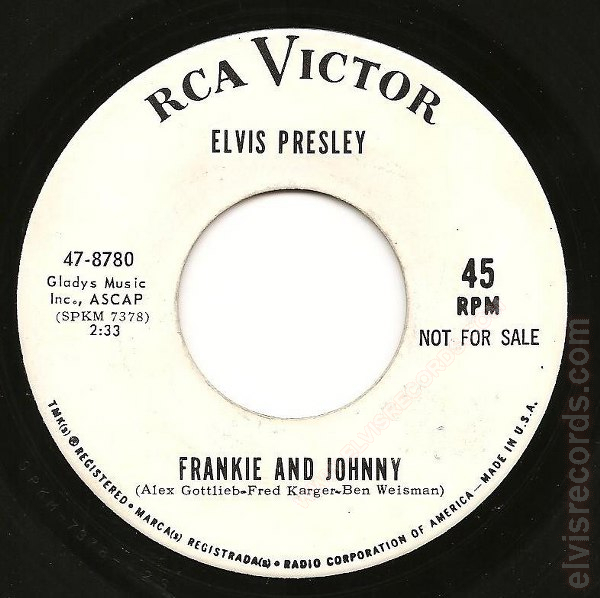 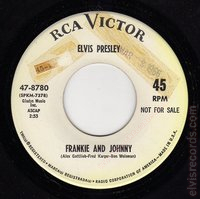 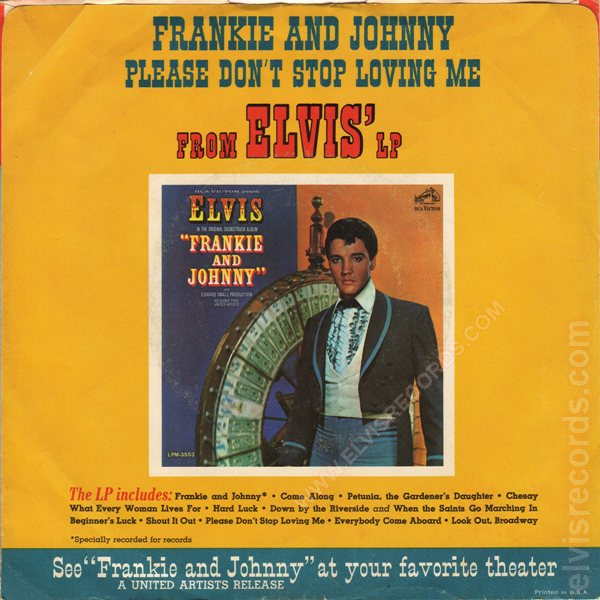 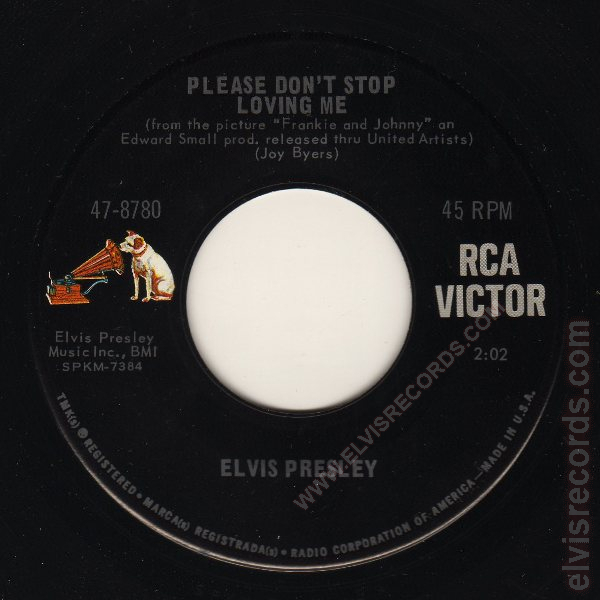 Re-released by RCA Records on 45 RPM as Frankie and Johnny / Please Don't Stop Loving Me on the Gold Standard Series label. 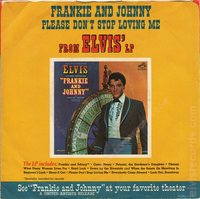 This in-store banner reads Now Available Elvis' Frankie and Johnny cw Please Don't Stop Loving Me from Elvis' New Movie "Frankie and Johnny" an Edward small Production released through United Artists. Pictures the cover of the single. Then reads RCA Victor.